Diagnostic Imaging Centers Insurance Kentucky Diagnostic imaging centers work closely with doctors, surgeons, and other medical professionals and specialists. Images produced not only help doctors diagnose patients, but learn new ways to treat them for different conditions, ailments, and conditions as well. 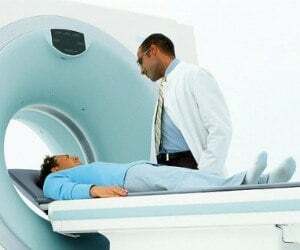 With the type of imaging taken in these facilities, it is extremely important to have a diagnostic imaging centers insurance Kentucky policy in place. So what will the diagnostic imaging centers insurance policy protect? Of course this depends on the extent and policy options added; these are some of the basics as it pertains to coverage for a diagnostic imaging center or facility. Diagnostic imaging centers insurance Kentucky protects your facility from lawsuits with rates as low as $97/mo. Get a fast quote and your certificate of insurance now. Professional Liability: Also know as professional liability or malpractice. If a client believes they've suffered some kind of loss due to error, mistake, or misdiagnosis, this diagnostic imaging centers insurance Kentucky coverage will shield you from liability and lawsuits falling under this category. As an imaging center, working with medical professionals, mistakes do occur. Therefore, shielding your business from the liabilities and possible conflicts of interests with doctors and medical professionals, is in your best interest. This policy protection will cover the KY imaging center from claims which stem from errors or mistakes made from imaging results. General Liability: Your diagnostic imaging centers insurance Kentucky policy should also contain a general liability protection plan. Third party claims of bodily injury (such as slip and fall or injured by equipment) would be covered. In addition to protecting your business from costly lawsuits, this policy is also required with many imaging facility leases in different buildings/properties, simply to shield the property owner from claims and lawsuits of this nature. Commercial Property: The physical assets are protected under this policy prong in your diagnostic imaging centers insurance Kentucky policy. This policy however only protects "covered events." So depending on where in KY the imaging facility is, if fire, earthquakes, or other natural events occur regularly in the area, these should be specifically stated in the policy protection coverage. Worker's Compensation: In most states, workers comp is required for any non-owner employees. When you have employees in a facility, injuries occur. If faulty equipment is the reason, if another employee injures a co-worker, if they slip and fall, or if other workplace accidents occur, this policy protection will shield the imaging facility from liability. 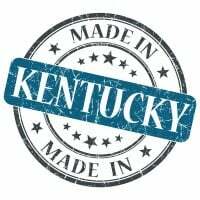 KY workers comp also shield against false claims or lawsuits, if a disgruntled former employee is simply trying to take something from the employer. Request a free Diagnostic Imaging Centers Insurance Kentucky quote in Alexandria, Ashland, Barbourville, Bardstown, Beaver Dam, Bellevue, Benton, Berea, Bowling Green, Brandenburg, Cadiz, Calvert, Campbellsville, Carrollton, Central, Cold Spring, Columbia, Corbin, Covington, Crescent Springs, Crestview Hills, Crestwood, Crittenden, Cynthiana, Danville, Dawson Springs, Dayton, Douglass Hills, Eddyville, Edgewood, Elizabethtown, Elsmere, Eminence, Erlanger, Flatwoods, Flemingsburg, Florence, Fort Mitchell, Fort Thomas, Fort Wright, Frankfort, Franklin, Georgetown, Glasgow, Graymoor-Devondale, Grayson, Greenville, Harrodsburg, Hartford, Hazard, Henderson, Highland Heights, Hillview, Hodgenville, Hopkinsville, Hurstbourne, Independence, Indian Hills, Irvine, Jeffersontown, La Grange, Lakeside Park, Lancaster, Lawrenceburg, Lebanon, Leitchfield, Lexington-Fayette, London, Louisville, Ludlow, Lyndon, Madisonville, Marion, Mayfield, Maysville, Middlesborough, Middletown, Monticello, Morehead, Morganfield, Mount Sterling, Mount Washington, Murray, Newport, Nicholasville, Oak Grove, Owensboro, Paducah, Paintsville, Paris, Park Hills, Pikeville, Prestonsburg, Princeton, Prospect, Providence, Radcliff, Richmond, Russell, Russellville, Scottsville, Shelbyville, Shepherdsville, Shively, Simpsonville, Somerset, Southgate, Springfield, St. Matthews, Stanford, Stanton, Taylor Mill, Union, Versailles, Villa Hills, Vine Grove, Walton, West Liberty, Wilder, Williamsburg, Williamstown, Wilmore, Winchester and all other cities in KY - The Bluegrass State.